This book was free on Kindle and when I read the book’s synopsis, I was actually very interested. A girl who was living a normal life was suddenly not so normal, after all. Well, I usually hate that trope but this book involved birds so I was interested. Do they turn into birds like werewolves turn into wolves? “Wow, that would be something new,” I thought. As someone who likes the supernatural, I decided to give it a try. From the first few chapters, I regretted that decision. The introduction was messy so I didn’t know what was happening half the time. A lot of things are happening all throughout the book and I don’t think all of those events are really important to the plot as a whole. There was a lot that I couldn’t keep up with including the amount of characters. There were just too much characters that I couldn’t keep track on who is who. To add to that, the main character is kind of annoying, all she ever did was growl. I also didn’t like how Wilder, Mickey and her girlfriends just accepted the supernatural instantly. They weren’t as skeptical as a normal person would be. The reason for this is because they found a book wherein there’s a tale about the past so they just immediately believed that there is supernatural in this world. I mean, I love fantasy and adventure books and books about vampires and werewolves but I will still be pretty surprised if someone would tell me that those are real. When Wilder and her friends just accepted what they were told, I realized that everything that happened were all for plot convenience. Events are just thrown in there, no explanation needed, as long as its convenient to her overall plot. I was actually emotional while reading that part. That part was written so beautifully and my heart sympathized with Mac. I liked that there was actually something more to him. Among a sea of characters, Mac has the most depth. Overall, I think the book has immense potential but sadly, it did not deliver. Such a nice premise but I don’t think I’d read the other books in the series. Hello! 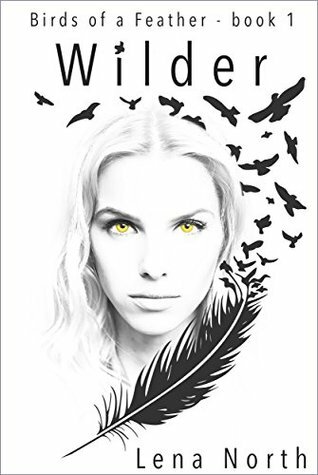 Have you read Wilder? What are your thoughts about it? Chat with me through the comments below!